The s/y Ruach will arrive in Alotau, Papua New Guinea on Saturday 21st October at 10:00 am local time. The vessel departed Townsville on Saturday, October 7th after docking for maintenance, before continuing north on her maiden voyage to PNG. 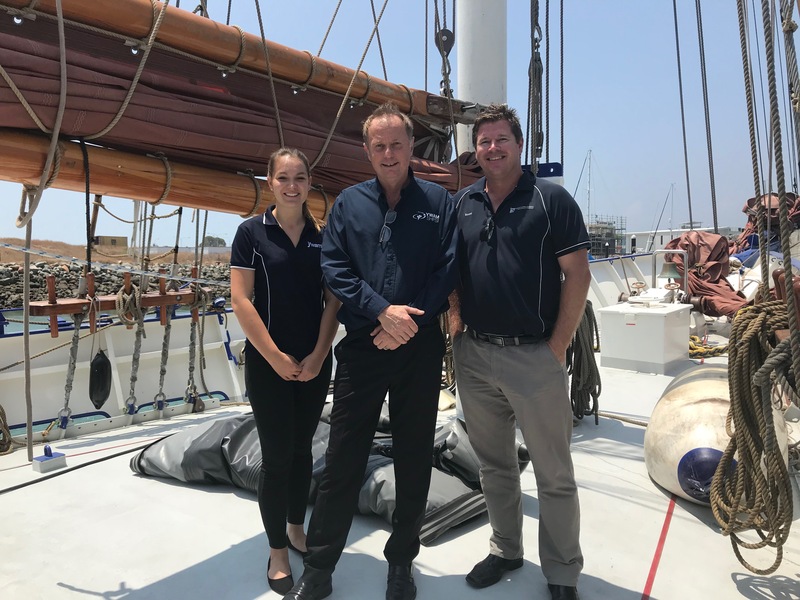 YWAM Ships Newcastle Managing Director, Mr David Stephenson, said that Townsville has been a wonderful host to the s/y Ruach. “It has been great to have the Ruach in Townsville at the start of an amazing journey ahead. The YWAM Townsville team has been an incredible support to us as we begin our work in PNG,” said Mr Stephenson. Mr Stephenson would also like to thank Scott Marshall, Manager of Breakwater Marina, for his support of the work of YWAM Ships. The assistance of Breakwater Marina in accommodating the s/y Ruach during it’s visit to Townsville has been invaluable. YWAM Ships Newcastle is thrilled that the vessel is soon to arrive in Papua New Guinea. We are excited to be partnering with the existing work of YWAM Ships in PNG and are connecting with local government and healthcare officials in the Milne Bay area to find out how we can best serve their people. Those in the Alotau region are invited to join us at The Government Wharf on Saturday 21st October at 10:00 am to welcome the s/y Ruach to Papua New Guinea.